- Deters all metal objects, ferrous & non ferrous including stainless steel. 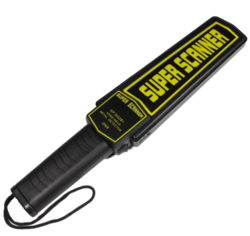 We are engaged in presenting an extensive range of Hand Held Metal Detector. Since we have established our base in this highly competitive industry, we are readily engrossed in the arena of presenting Hand Held Metal Detector. We supply Hand Held Metal HHMD Detector 01 year warranty, with battery charger. 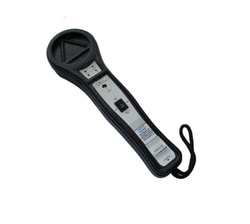 We are involved towards offering our customers best series of Handheld Multi Detector. Our product is highly demanded by our customers for its accurate result. - Detects Ferrous and non Ferrous Material. - Compatible to rechargeable and dry battery pack. - Audio and Visual alarm facility to draw attention of the operator. - Compact size for easy operation. We are betrothed in offering the best quality range of Hand Held Metal Detector to our valued clientele. These products are made under the worldwide industry standards.